‘Tis the season to be jolly as the Glee cast releases Glee: The Music, The Christmas Album Vol. 3, available Tuesday, December 11. 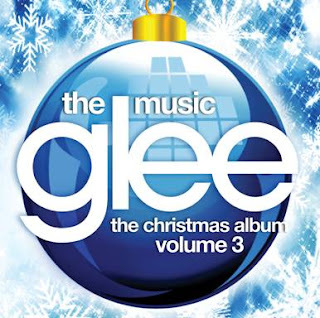 The album features timeless holiday classics, including “Have Yourself A Merry Little Christmas,” “White Christmas,” and “Jingle Bell Rock.” Six of the tracks recorded will be included on the holiday themed episode of Glee, which airs Thursday, December 13, at 9:00 PM ET/PT on FOX. Glee: The Music, The Christmas Album Vol. 3 will also showcase 4 songs recorded exclusively for the release including “Joy To The World” and “Silent Night” (see below for track-listing). From the iconic “Don’t Stop Believin’” to the pop phenomenon “Teenage Dream” to the widely praised mash-up of Adele’s “Rumour Has It” and “Someone Like You,” Glee has sold more than 49 million songs and over 12 million albums worldwide. Glee scored three consecutive #1 releases with Glee: The Music, The Power of Madonna, Glee: The Music, Volume 3 Showstoppers, and Glee: The Music, Journey To Regionals. The RIAA has certified Glee: The Music, Volume 1 and Glee: The Music, The Christmas Album Platinum (sales in excess of 1 million units) as well as Glee: The Music, Volume 2, Glee: The Music, Volume 3 and Glee: The Music, Volume 4 Gold (sales in excess of 500,000 units). I love hearing how the Glee cast changes up these classic Christmas songs! They are fun to listen to and catchy! The only complain I have is that there are only 10 songs! I just wish there were more songs on this Christmas CD!